We look at how the proposed U.S.-Mexico border wall will affect people living along its route, and explore the environmental impact that the plans will have on one particular nature centre. 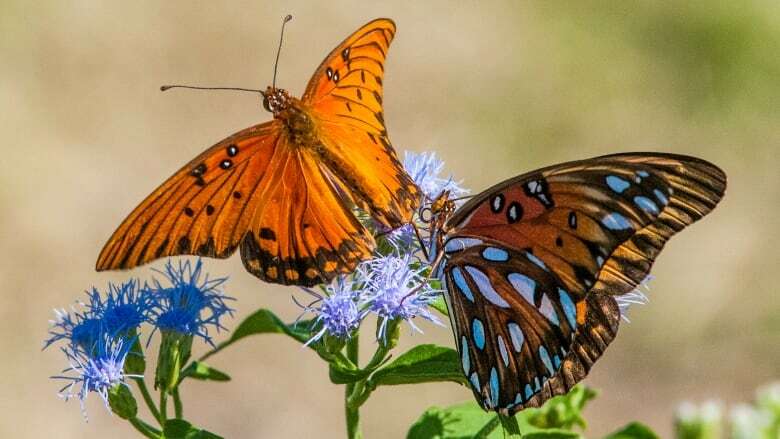 Donald Trump's proposed wall along the U.S.-Mexico border will have a devastating effect on local wildlife, according to the executive director of the National Butterfly Center in Mission, Texas. "We are a 100-acre, native plant botanical garden that is planted with host and nectar species to support butterflies," said Marianna Wright. The construction of the border wall would bisect the property, bulldozing "about 6,000 acres" of native habitat, she told The Current's Anna Maria Tremonti. She added that the Lower Rio Grande Valley is also home to several endangered and threatened species, such as wildcats like the ocelot, and the Texas horned lizard and Texas tortoise. Wright explained that while the official border is the Rio Grande River, the wall itself will be built about 2 kilometres inland, bisecting the centre's property and encasing 70 per cent of it in a "no man's land." "Once this 36-foot-tall wall is in place, all terrestrial life on the other side of the wall will drown in the event of a flood," Wright said. "And we're not a valley, we are a river delta, so flooding occurrences are fairly common." Trump is set to visit the border town of McAllen, Texas on Thursday, as a government shutdown reaches its 20th day. Congressional democrats have vowed not to provide funding for the border wall, and the president is reviewing other options, including declaring a state of emergency. 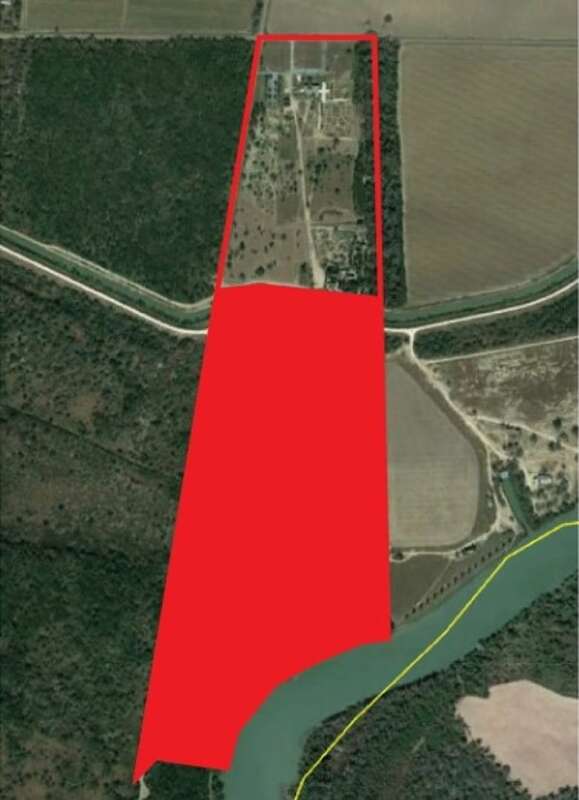 The wall will cut through the National Butterfly Center, creating what Marianna Wright called a 'no-man's land,' between the Rio Grande and the rest of the property, in red above. (Submitted by Marianna Wright)Last year, the The U.S. Department of Homeland Security waived several environmental laws to expedite the building of the wall. 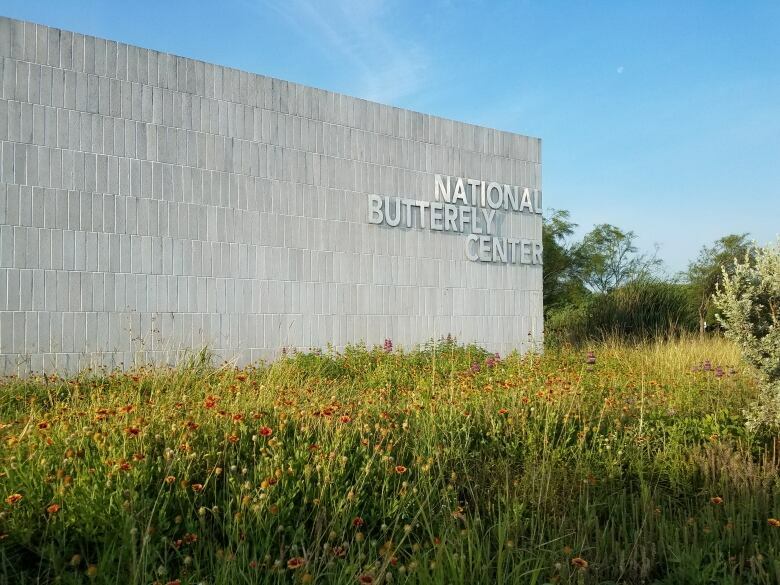 According to Wright, funding for the section of the wall that will cut through the National Butterfly Center has already been approved, as part of the 2018 omnibus appropriations act. "This is not an if, this is a done deal.... We are informed by the office of border wall management that the bulldozers will arrive at the end of February, or maybe the 1st of March," she said. But the wall won't close off access beyond the wall, she told Tremonti. "The brilliant plan by the Department of Homeland Security … is we get a gate and we get to give every visitor and member the gate code, to pass through the border wall to the river, back and forth, as they see fit." Written by Padraig Moran. Produced by Kristin Nelson, Sarah-Joyce Battersby and Julie Crysler. Should the advice in the Canadian Food Guide be taken with a pinch of salt?